Edgar Medina was born into a family of five in the small town of Cd. Mante Tamaulipas, Mexico. From birth, Edgar was diagnosed with a serious lung condition, which forced him to spend much of his childhood bound to hospital care. His parents used this time, to introduce their son to the world he could create inside the four walls of his hospital room with creative art. His imagination was awakened using crayons and exploring color through his earliest artistic expressions. As with any great artist, Medina’s journey was not a simple one. Edgar opted after high school for a “sensible” career choice and pursued a job in the dental industry for eight years. It wasn’t until a visit in 2007 to the Museum of Modern Art in Manhattan that Edgar’s artistic voice again spoke to him in a way that he could no longer ignore. He returned home to Houston, TX, a changed man, ready to pursue the dream of making a life for himself as a successful artist. Edgar Medina originals have shown across the country at galleries in Chicago, New Orleans, Santa Fe and Houston. Medina has been a featured artist at Art Chicago, The Los Angeles Art Show, Art Santa Fe and Red Dot Miami. In June of 2013, Medina was awarded a Volunteer Houston Service Award for his work with MDA Gulf Coast’s Summer Camp kids. Last year, Edgar Medina originals helped to raise a substantial amount for Houston area charities including American Cancer Society, MDA, Victory Houston –Cattle Barron's Ball, Foundation for Teen Health / Baylor Medina, JDRF and Tahirih Justice Center. He also moved his work studio in his gallery space located at Native Citizen and is enjoying working one on one with clients as they visit the design/ gallery studio. This year, Edgar has had the honor of being a part of Artist INC Houston, a mentorship program with Fresh Arts Houston. 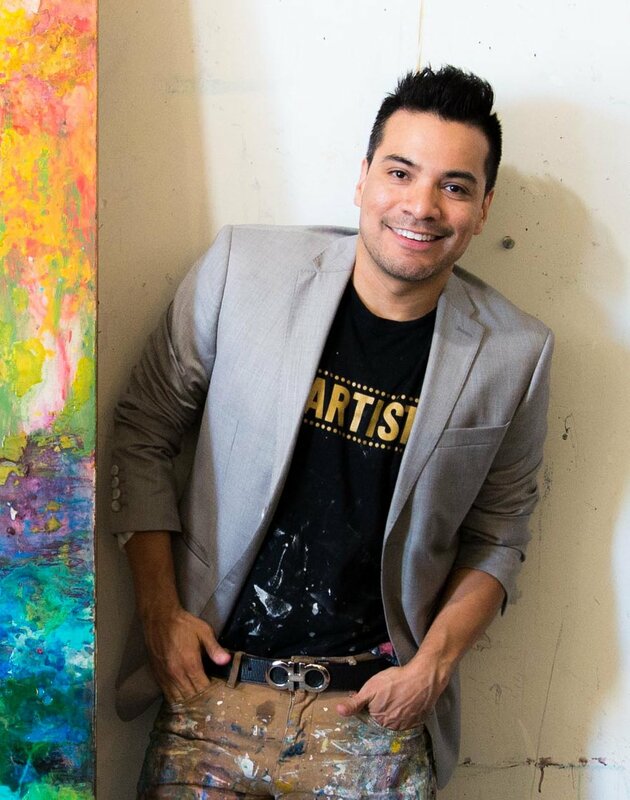 For the last eight weeks, Edgar has been working with local artists and mentors, sharing their mutual experiences and learning from each other.